TRIP NEWS - Bluewater Scuba - "Where Nashville Learns To Dive"
We resently returned from an amazing trip to Micronesia where we visited the tiny island of Yap for a week then another week aboard the Truk Odyssey in Truk Lagoon. The diving was incredible as well as the company. 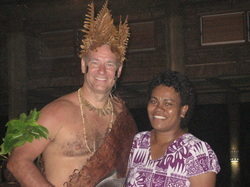 We started the trip in Yap where we dove with Manta Ray Bay Resort & Yap Divers. 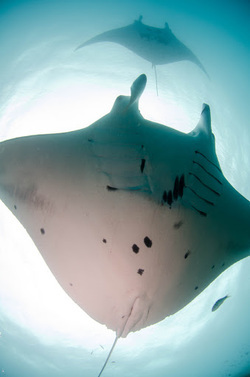 We spent two days diving with the giant Mantas, an experience no one should miss. Watching as three to six mantas danced around and above us in the water was mesmerizing. The weather turned a bit on us for our two days of reef diving but still beautiful. Unfortunately due to weather we missed seeing the mating mandarin fish, one of the other famous dive experiences. After four days in Yap we went on to Guam and then to Truk Lagoon (known as Chuuk) in The Federated States of Micronesia and boarded the beautiful Truk Odyssey for another six days of at least three dives per day. For anyone with an interest in military or World War II history and the Japanese Navy, this is a bucket-list trip. More than 50 major shipwrecks from WWII litter the seabed making Truk one of the best shipwreck diving destinations on the globe. The ships were sunk in February 1944 when the Americans launched Operation Hailstone, sometimes known as the Japanese Pearl Harbor. The ultimate dive was on the last day as we dove the San Francisco Maru, which lies in 180 feet of water in the lagoon. To descend and see three tanks as they sit on the deck of the ship is a thrill for any wreck diving enthusiast. Check out the slideshow of just a small sampling of pictures from both desitnations. Photo credit to Dr. Stewart Galloway. If you haven't travelled with Bluewater Scuba yet, take a look at our upcoming trips and join us.